Silver beading on halterneck bodice. 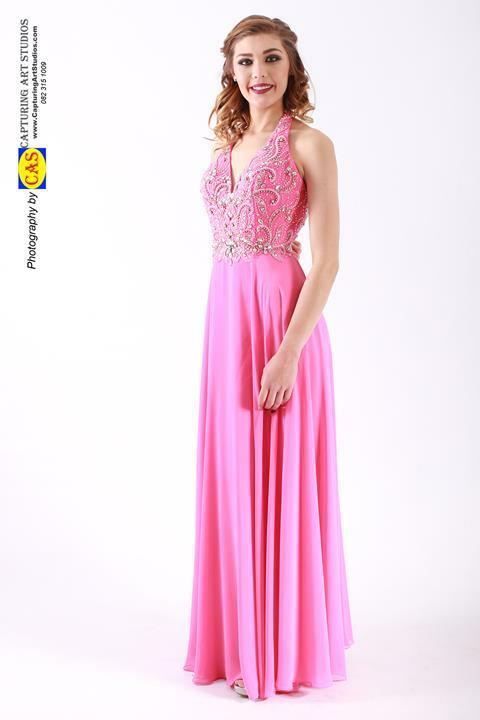 Cherice pink chiffon evening dress, size 34. Yourday Bridal Centurion: 073 299 2028 or 012 653 0318. At Yourday Bridal we work on appointment and we don't do rentals on evening dresses.